Some time ago West Midlands metro mayor Andy Street travelled to Finland – thought to be the only country in Europe where homelessness is falling. Emmaus has the answer to rehabilitation of the long-term homeless, offering both accommodation and work of a socially useful nature. 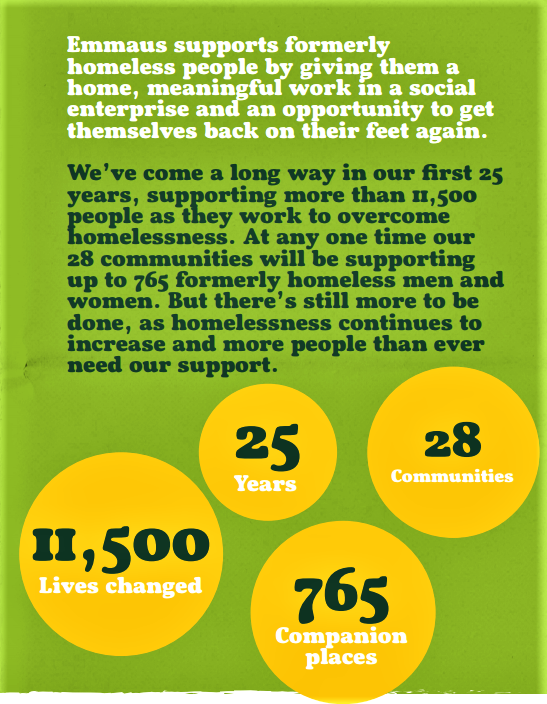 As its website says, “overcoming homelessness means more than a roof over your head”. Without a purpose formerly homeless people placed in ‘permanent accommodation’ become lonely and still feel like ‘outsiders’ and eventually have to leave because of alcohol, drug or debt problems. The mayor of Birmingham may visit the Coventry Emmaus, probably the nearest, or better still, go the centre in Cambridge, the ideal aimed for by Emmaus, where housing and workshops are on the same site – and also a place where locals can come and buy restored goods at modest prices from restored people. The secular Emmaus movement flourishes on the continent where it was started in 1945 by a French priest to help homeless ex-servicemen to repair war-damaged houses. Men and women come off income support, collect, refurbish and repair goods and offer them for sale. In exercising a skill and offering goods at quite a low price they meet a need and know that once more they have a useful role to play. Those who had an alcohol addiction, go out for a drink but are expected to behave acceptably. Even if they are asked to leave because of bad behaviour they know that they can always return after a while. 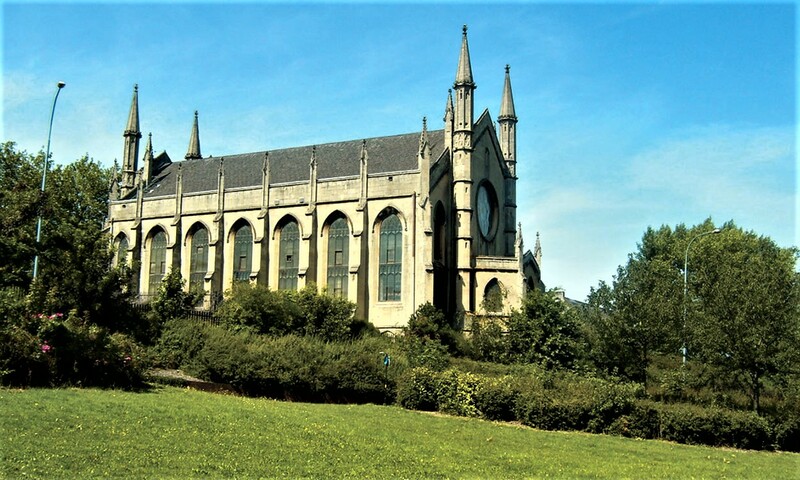 The four storey Trinity Centre (a former church, a listed building) in Camp Hill near the city centre, highlighted on this site in 2014, would offer a suitable site, as Emmaus prefers to have the residential, working and retail activities on the same site.. 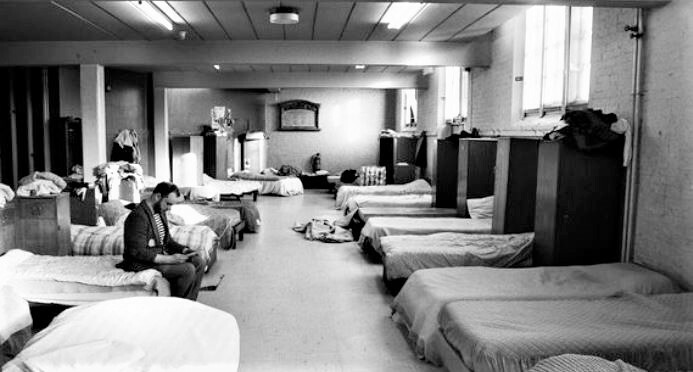 It housed many homeless ex-servicemen and workers displaced by machinery. The ground floor was a dormitory, with three aisles, like the one below and the centre led up to the chantry altar in which a Sunday service was held each week. All meals were cooked in a splendidly fitted kitchen, there was a recreation room, a visiting library (taken round by the writer) and a rehabilitation flat on the top storey. When the Centre was put up for sale some local people suggested that this converted four storey Anglican ‘Commissioners’ church and the land nearby would be perfect for an Emmaus Community. Could Trinity Centre become the city’s first Emmaus? Bishop David Urquhart is a Church Commissioner: should the Mayor contact him? – though in Coventry this has not been possible. The Emmaus movement flourishes on the continent where it was started in 1945 by a French priest to help homeless ex-servicemen to repair war-damaged houses.